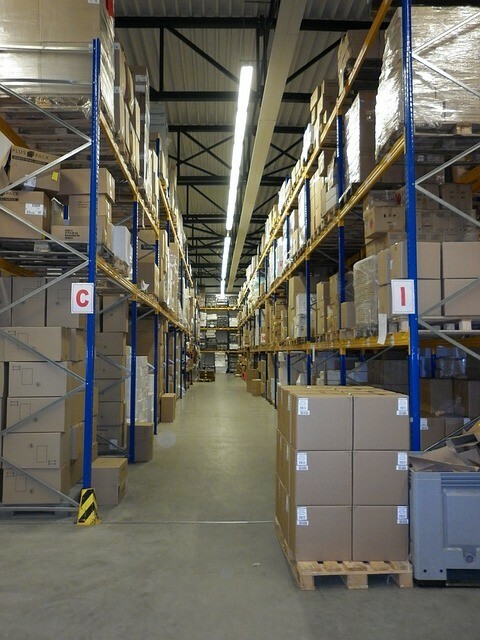 There are countless ways to improve the efficiency of your warehouse space. You can de-clutter to eliminate items that are only causing obstruction or reconfigure the floor plan to utilise idle space. You may also cut back on supplies a little bit to create a breather, which could eventually reduce drag in productivity. Another way, and perhaps the most efficient, is a complete storage system overhaul. If you don’t have a storage system in place yet, this is the perfect time to include it in the blueprint. Your best choice for a storage system is a pallet racking system, the storage system of choice for many warehouses in Sydney and across New South Wales. Traditional storage systems like cabinets and drawers are not suitable for storing products contained in boxes or pallets. You need a larger and less constricted storage system for those products. A pallet racking system could fit the bill. In fact, as the name suggests, it is designed for the purpose of storing materials on pallets or skids. A pallet racking system is made up of different components, including load beams, upright frames, braces, and supports. It doesn’t have walls like shelves so the pallets can be placed and accessed from more than one side, which makes the storage process more efficient. Depending on the type and weight of the pallets, the decking of your pallet racking system may be made of close boarded or slated timber or wire. There are different types of pallet racking system you can choose from, each of which suits a particular storage need. 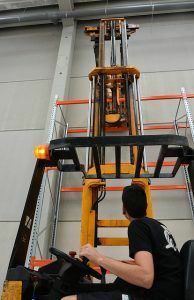 The cantilever racking, for instance, is best for storing long products, such as timber, pipes, and rods, or anything that is longer than a skid’s length or width. It’s distinctive for its long arms that protrude from the framework and lack of columns on one side or on the access point. 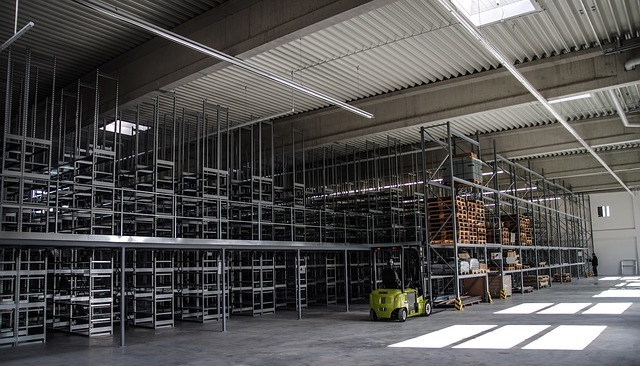 Selective racking, on the other hand, is open on both sides, providing access to every pallet in storage. It is usually one pallet deep and can accommodate up to two racks back to back, which makes it the least spacious of all pallet racking system types, and yet it is the most extensively used one. Unlike selective racking, push back racking has two to three pallet rows held side by side to allow storage of two to six pallets deep. Pallets are stored by pushing with another pallet, but it’s accessible on either side. Drive-in racking has an almost similar design, except the pallets are slid back farther to a closed end. Perhaps the most space-conservative choice is pallet flow racking, which consists of a slightly inclined decking that allows pallets to automatically slide to the lower end when being stored or accessed, hence the name. This can be set up without allocating space for pathways. 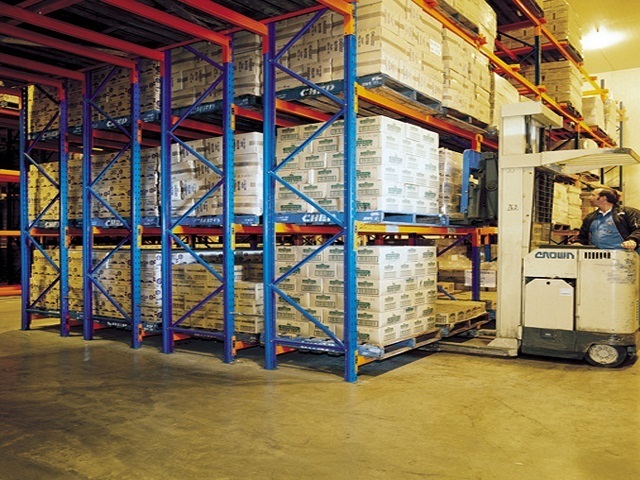 A pallet racking system is a significant capital outlay, but a worthwhile investment. If you have a pallet racking system in place, you will get to experience many changes in your business, including the following. Reduced Accident Cases – With a pallet racking system, you’ll be able to remove all sorts of obstruction that are likely to cause slips, trips, and falls. This additional structure is capable of withstanding tremors as well, so you don’t have to worry about pallet falling off the racks during an earthquake. This could mean less money and time spent on handling worker’s compensation claims. Increased Productivity – The pallet racking system helps streamline the storage process, which results in faster response rate and better work quality. With no clutter that could get in the way of workers and forklifts, storage and access of products are expected to go smoothly and fast. Errors that usually lead to delay will also be reduced, if not eliminated altogether. Less Complaints from Customers – With productivity and work quality at their peak, you can expect a spike in customer satisfaction as well as sudden boost in demand. Better Space Efficiency – Warehouse racking systems are designed to maximise both the horizontal and vertical space of a warehouse. Having one in your own warehouse allows you to utilise the upper half of your warehouse space by simply adding elevation to the pallet racking system. Do I always have to go brand new? Using a brand new pallet racking system has its apparent perks. Apart from the performance and longevity, you can expect the system to look appealing as well. Yet this option is quite expensive. If you’re just new to the warehousing business and you are revamping your warehouse on a budget, going brand new right away isn’t a practical move. Thankfully, you have the option to install a second hand pallet racking system. While it may not seem very appealing, you can still rely on its structural integrity and durability. Besides, the materials that make up modern pallet racking systems are extremely durable, and so even pre-owned products could still last for a couple or more decades, enough to yield more than your projected ROI. Does your pallet racking system need to be certified? A pallet racking system is considered a major structure because it is meant for carrying heavy loads and could pose a safety threat if it collapses. This is why it’s construction follows a strict code, specifically the Australian Pallet Racking Standard AS4084:2012. Warehouse storage system designers and builders are obliged to comply with this standard not only to avoid getting into trouble with the law but more importantly to ensure the stability and safety of the pallet racking systems they build. If you are planning on putting up a pallet racking system in your warehouse, make sure that you find an installer that conscientiously complies with AS4084:2012. We at AGAME Universal have helped many warehouses across Sydney and the surrounding areas, and are ready to help you.